I used the Nitwits digi kit Deer Friends to decorate this unusual shaped card and am really pleased with how it turned out. Double Concertina Step card and Nitwits Mooey Christmas digi kit. 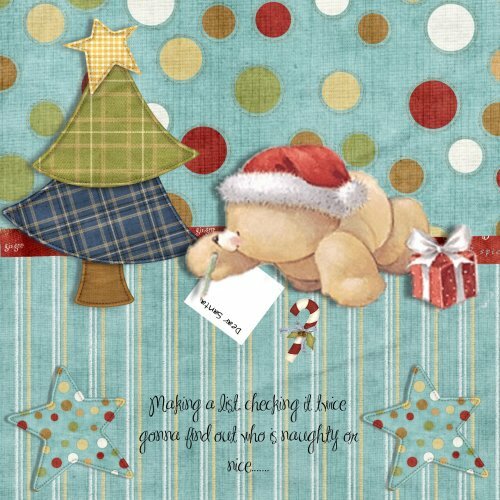 Making a list, checking it twice…..
A Forever Friends Christmas card using digi Christmas kits from Nitwit. Hope you all have a nice day. Oh my goodness all the digi stores have had mega sales because of NSD so I spent a lot of yesterday shopping!! 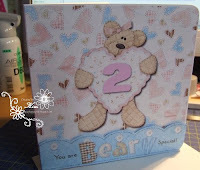 I got some gorgeous stuff and this is from Niwit’s Bear Necessities kit.